The La Conca circuit is known for the strong grip of its surface. 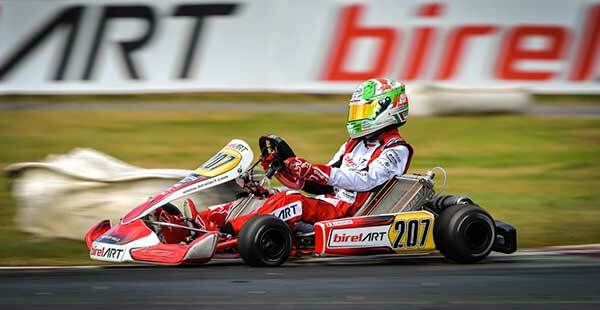 This radical change has been negotiated by the Birel ART Racing Team, the chassis from Lissone adapting beautifully to these unusual circumstances. After pole position in OK and winner of his Prefinal, Coluccio was able to compete with the best during the whole meeting. A collision on the first round of the Final prevented him from completing his impressive demonstration. On the first weekend of March, snow disrupted the second round of the WSK Super Master Series at Lonato. The drivers and teams were eager to find the best conditions for racing in the south of Italy. Muro Leccese finally gave them the opportunity to race in less wintry temperatures. The strong wind finally subsided to make way for a sunny day on Sunday. 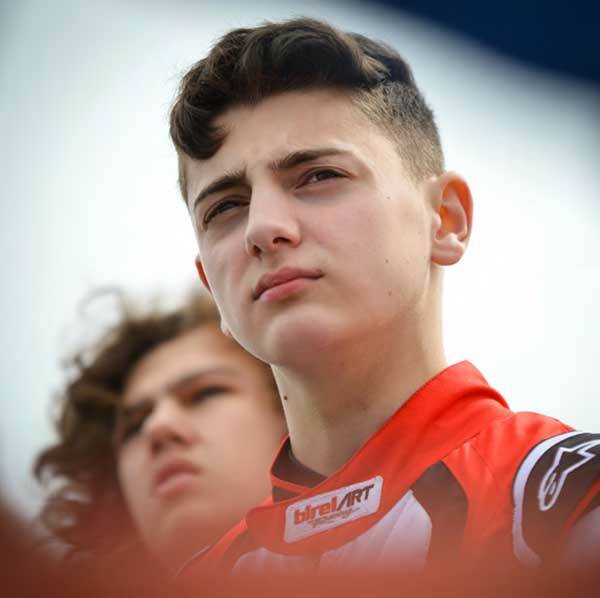 The strong grip of the La Conca track changed the hierarchy compared to the beginning of the season and several Birel ART drivers had the opportunity to put themselves forward, starting with Luigi Coluccio. 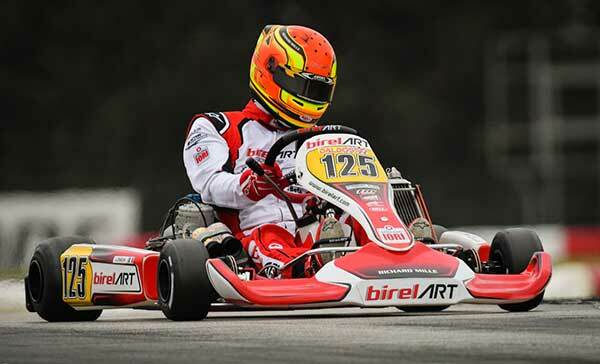 Davide Foré, the Birel ART Racing team manager, was very satisfied with the team’s work and the performances of his drivers. “It has been a tough weekend for everyone because you do not often have that kind of grip, it’s the only occasion of the season. Physical stress was much greater than usual for the drivers. The machines were also severely tested. The knowledge of the very particular layout of La Conca greatly helped the more experienced, while the newcomers had to learn quickly to manage the grip of the track. I would like to congratulate all members of the team for their unfailing commitment, as well as the drivers who gave their maximum, in a very productive and calm atmosphere. Thanks to them, we were able to record important data for the rest of the season. “Luigi Coluccio allowed us to show the quality of our equipment in these new conditions with a great meeting. He completed a fantastic run for his first season in OK. After taking pole position in Qualifying, he was always very fast in the heats, even though the intensity of the battle made him lose a few places. He made up for lost ground in Prefinal B, taking advantage of the circumstances to win. His Final was unfortunately cut short: he found himself caught between two other karts on the first lap and had to give up. Marijn Kremers was less comfortable with this strong grip, but he still managed to close on the top 10 before receiving a penalty. 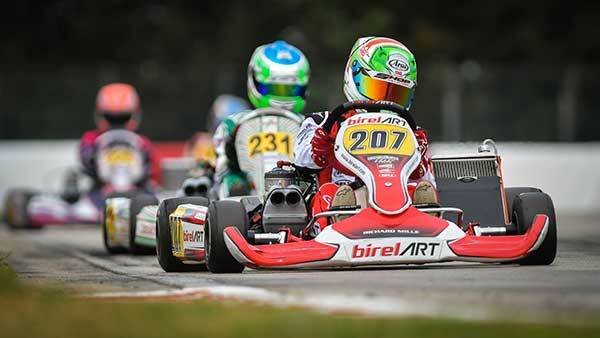 “In OK-Junior, I am a little disappointed for Francesco Pizzi who encountered a technical problem during Qualifying. He went very well in the heats, except for one missed attack on the last lap of the second heat. Always on the attack in the Finals, his result was tarnished by penalties, but he had the potential to enter the top 10. In his first appearance at La Conca, the young Thomas Dijkstra was on the pace. He was aiming for the top five in his Final when a collision put an end to his progress. His potential remains very promising. The next meeting will be in early April on the Sarno circuit for the last two events of the WSK Super Master Series with ambitions revised upwards for Birel ART Racing.